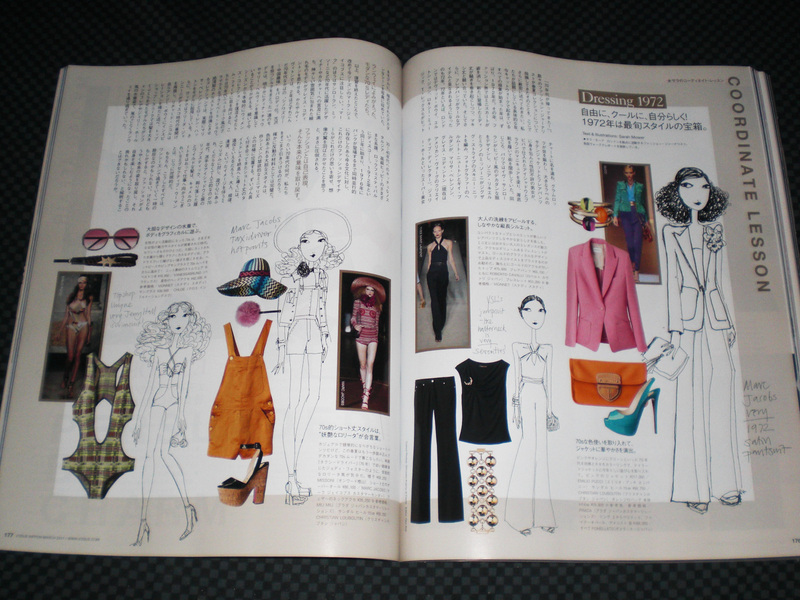 The March 2011 issue of Vogue Nippon was boring compared to its other issues. Perhaps it was the lack of interesting pictures, which is what I look at when I read foreign editions of magazines because of the language barrier. I did, however, like the cover because of the use of animal prints, even on the title! The issue is titled Catch The Look and it featured looks by fashion personalities like Alexa Chung, Anna Dello Russo, Taylor Momsen, Vivienne Westwood, and Carine Roitfeld; and the makeup of Faye Dunaway, a young Jodie Foster, Grace Coddington, Jerry Hall, and Jane Fonda. 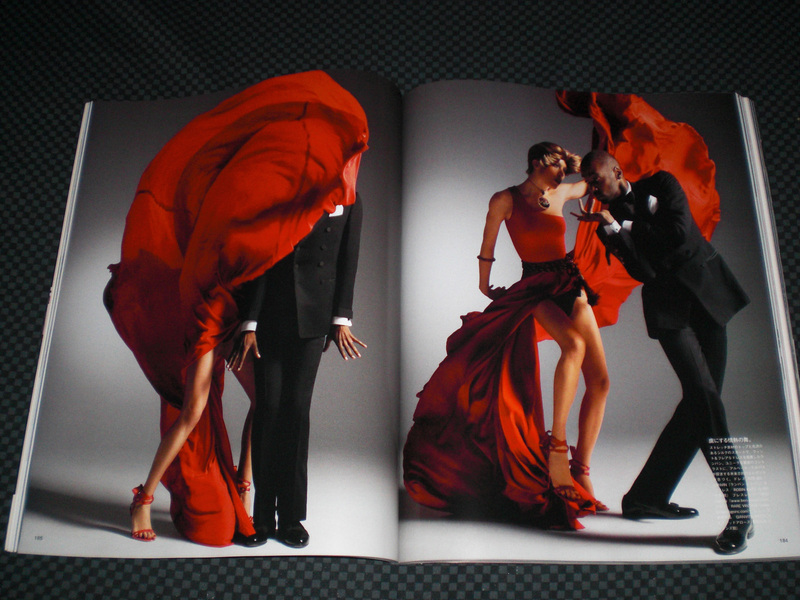 There were several features that I wanted to read, such as the ones for Angelina Jolie, Tom Ford, and Tommy Hilfiger. But because it was in Japanese, I had no way of understanding it. In fact, the December 2010-January 2011 issue of French Vogue did an extensive feature on Tom Ford and I couldn’t read it either, doubling my frustration. The editorials were good, but I noticed the decimated number of pictures. Some editorials only had four shots. But they made up for it by being dramatic, especially Fred and Ginger, The Look Says It All, The Return of Splendor, and the eye makeup of Look Out! 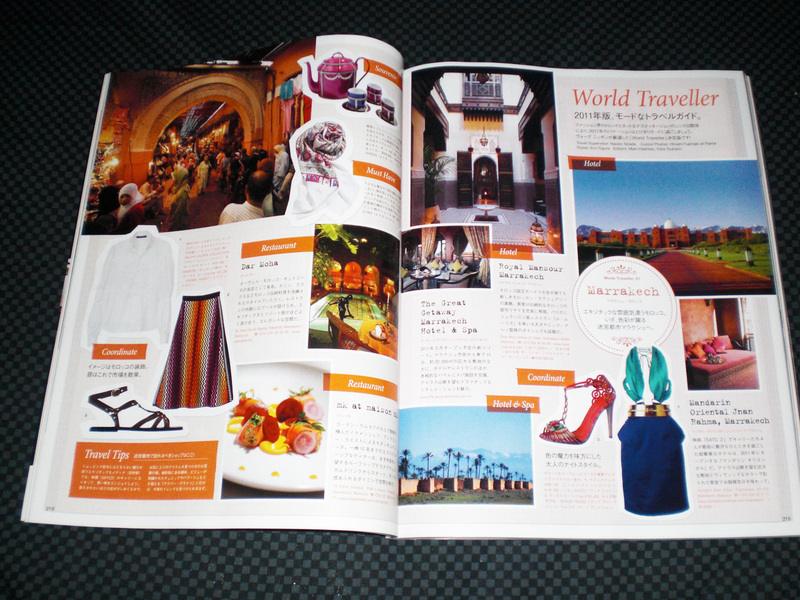 The issue also featured top vacation spots which ignited my wanderlust. They featured wonderful places like Greece, Morocco, Maldives, and Shanghai, the last of which I’ll be visiting in May. I’m looking forward to buying cultural items like Mao memorabilia and of course, stacks of Vogue China. 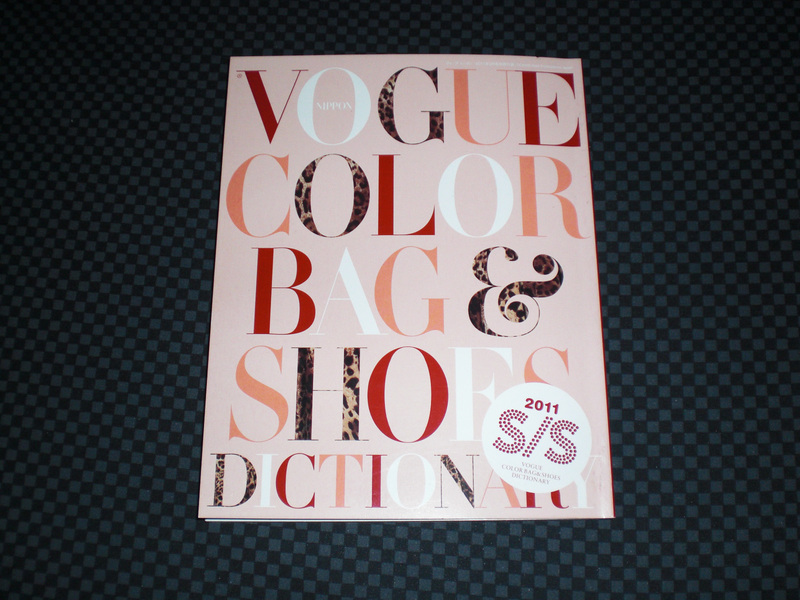 The issue came with a supplement, a dictionary of bags and shoes arranged by color. The dictionary is a wonderful guide, and I had fun sifting through the items. 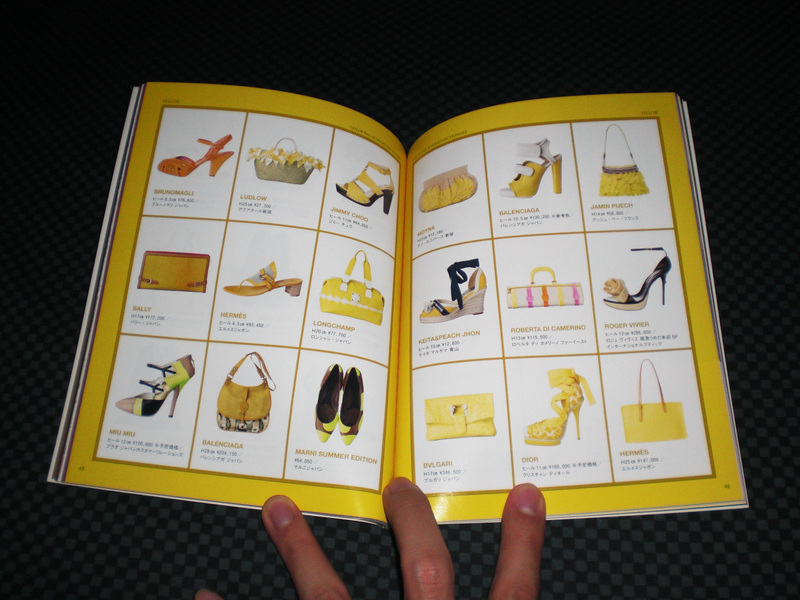 Arranging it by color was a brilliant idea and I think every stylist/style-conscious person should own a copy. and by the way… do you have alookbook or chictopia? Of course I remember you, Thery. You were one of my good friends at TP. I still remember the days when we used to talk about fashion in the office. Thank you! It's now my thing to collect international fashion magazines. I just started a few months ago so my collection is still meager – French, US, British, Nippon Vogue; Hong Kong Elle; and some Japanese magazines like Shel'tter and Mode et Mode. I plan to travel and it'll be my mission to collect local fashion magazines. Unfortunately, I don't have Lookbook or Chictopia. I'm handling too many accounts as it is – Facebook, Tumblr, Twitter, Goodreads, and this blog, so another one might just drive me crazy. I did see your looks on Chictopia and I see that you're still a fan of Japanese fashion, good for you!